What are you going to do with those unused vacation days? Whether you want to plan a trip to a quaint beach town or you’re anticipating popping your toes in the pool as the sun sets behind a Vegas casino, make sure the journey getting there is just as relaxing. 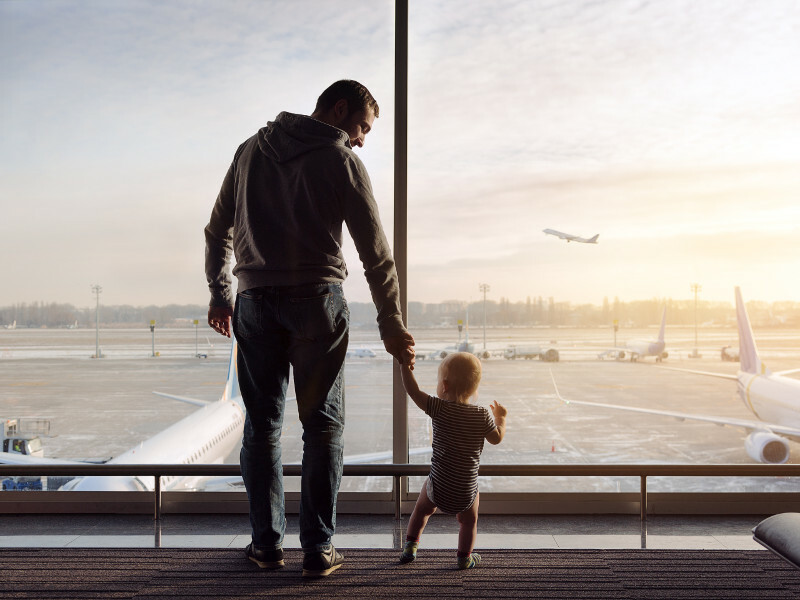 While packing and planning isn’t the most fun part of your trip, there are plenty of ways you can reduce the stress and give yourself peace of mind before heading to your flight. Stress-free travel looks different for everyone, but it begins as early as when you book your flight. Some people worry about budgeting while others worry about rushing to the airport before the sun rises. Decide what your top priority is and stick to it. If you’re not a morning person or you’re worried the kids will be sleep-deprived and cranky, don’t book the 6 a.m. flight. Don’t use an airline with a first-come-first-serve seating policy if you obsess over details like when you’ll be able to deboard the plane or if you will have an aisle seat. If you want to save money, and you don’t stress about time, try booking a last-minute flight or flying standby. While family vacations can be a blast, you may want to escape the hustle and bustling of parenting. If you’re going to a casino or want a romantic getaway with your spouse, don’t hesitate to hire a qualified, reliable nanny. You can even bring a nanny with you to watch the kids on a cruise or on a trip where there might be some activities you want to do without the little ones. Make sure you interview potential nanny candidates months in advance, check references, and calculate your nanny’s taxes correctly. This will help reduce the stress of leaving the little ones or help keep them entertained on the trip. While a flight may be the most important and expensive expediture of your trip, you also don’t want to arrive at the airport and find yourself without a ride to your hotel or cruise. When arranging for a ride to a hostel or hotel, make sure the driver is reputable and their car is safe. You will also want to verify that your ride is ready to pick you up the day before you arrive at your destination. Car rentals can be quick, convenient, and easy. But make sure your rental company’s business hours align with your flight, that there is a shuttle to their location, and that they don’t have a policy that gives up your car to another customer if your flight is delayed. When your trip is three weeks out, check the expected weather for the region of your upcoming trip. Make a list of the items that would be appropriate for the weather and activities you have in store. By planning ahead you can order items online or shop around to make sure the clothes and shoes are comfortable and that you like their style. If you’re headed north to see the sun glisten over snowy hilltops or to hit the slopes, you make need to pick a new coat or break in your winter boots, first. Make sure you bring plenty of socks, too. You can never have enough dry pairs of socks in the snow. Sunny South Florida or any beach location, will require sandals. You will also want to pack more than one bathing suit because you might find yourself hitting the beach twice in one day. And there’s nothing worse than the sensation of slipping on a soaking wet bathing suit. There’s nothing worse than having to decide between two of your favorite sweaters. But this might be the case if you don’t practice packing. Sometime the week before you leave, make sure all your items fit neatly in your suitcase or travel bag. If it’s a tight squeeze, try rearranging your belongings or purchasing a larger suitcase. As you practice, make a list of everything you want to bring along. This will save you time and energy the night before you leave. Start your trip off right by being prepared. Don’t get caught up in the last minute worry of not knowing what to bring or who is picking you up from the airport. Most importantly, make the process fun because you know your trip will be! Join the discussion on this topic with Stayful.com by visiting our contact page.